oh oh oh my. Guess who entered RIC this week? One of my favorite card makers...DEBBY HUGHES. My fab 4 are together in one challenge! So I was thinking, maybe all of them would be looking at my work. Just maybe Debby would click on my name if my card was good enough. But...How can I compete with some really great entries? Maureen made a bow-licious masterpiece. She makes the best bows. Alyssa made a chevron confection. Arielle's mustache mania is color-rific. Chunyuan created a symphony of pattern that is winning material for sure ..I could go on and on. Supplies: PTI happy trails stamp set. WHICH I BOUGHT BECAUSE DEBBY HAD IT BY THE WAY! By the way Aga, I couldn't get your card out of my mind! It is like a piece of art, a slice of dessert, put in on a plate and serve it up! If you vist my blog ( think there are 10 of you now), I ask you to please check out the challenge. The design team creates perfection every week. They make WORKS of ART. It's more than a card. They translate a runway picture into something magical. Save yourself a trip to your local art museum and visit RIC. And you can see all of these mentioned wonderful card makers and more ON THIS CHALLENGE SITE!! DEBBY: if you clicked on my card, would you leave a comment so I know you did?? In the famous words of Tom Petty: the waaaiting is the haaaardest part! gorgeous card, Wida. Thanks for the nice words about me. Love the mix of colors and textures! And I gotta agree that the inspiration to be had at RIC is amah-zing! This is gorgeous Wida!!!!! I love how you used the layers! Your BOW is FABULOUS!!! It's BE*U*TEE*FUL!!! Beautiful..I love the texture! And I especially love reading your posts. I am ashamed to admit that for some of the blogs I follow I just look at the pictures...but yours I read each and every time! Thanks for playing along and for the sweet words about RIC! So true what Jen Rzasa said. I rarely read blog posts. I just look at the card, but not yours. Love your card, beautiful bow again! Agree with all of the above! You have got some fun posts here ---as always! I really like the textures,color, patterns, Wida! Your card is just as awesome as the ones you had pointed out! You've got to give your self some serious credit on your work! Oh, just look at all those amazing textures and patterns! And that gorgeous bow! !You nailed that challenge. I always find myself stumped with these RIC pix but yours look so effortless!! Thanks for inspiring. Typo alert : should say " from our crafting heroes"
Love your card...as usual...and have my fingers crossed for you. Those colors are inspiring!! So, so pretty, Wida~~ like always!! :) I could design an entire room with those colors & patterns. Hope (THE) Debby clicks on your card!! what a fun tribute! nice card! This card rocks!!!!! The colors, pattern and texture..awesome! 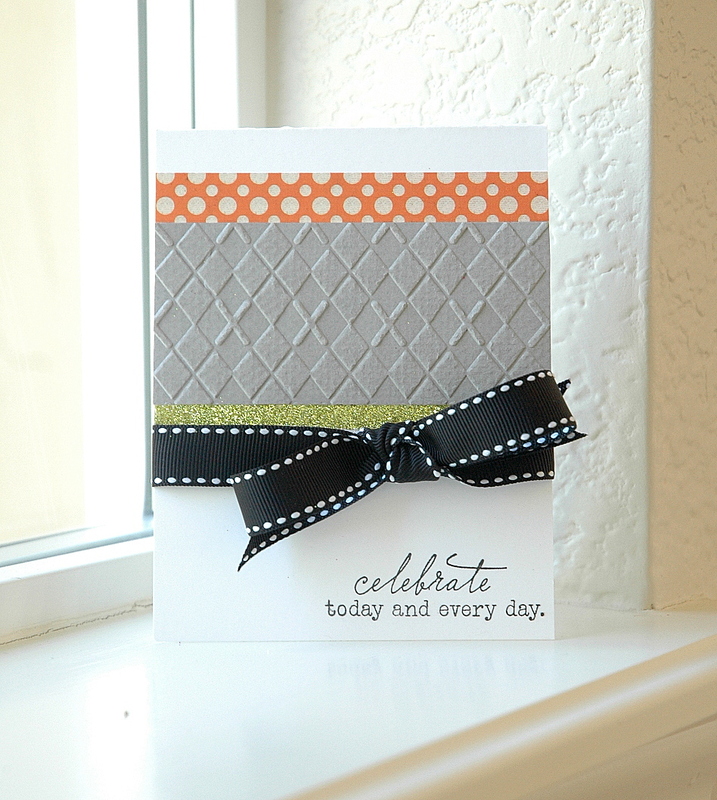 Beautiful card!...love the mix of textures!